Out of Ashes’ Be Loved event has been created to invite and allow God to lead His women in a deeper and more intimate walk with Him. Be Loved, designed in a weekend format, is delivered over a Friday evening, Saturday, and Sunday morning; arriving from 5pm-7pm on Friday and departing by 11am on Sunday. 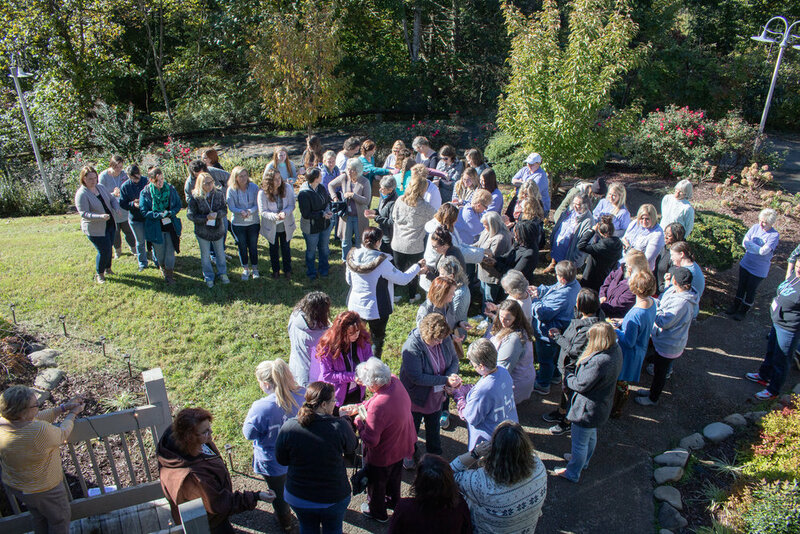 The specific details and schedule of the Be Loved weekend are kept quiet as attendees are invited to surrender their expectations to God and allow themselves to encounter Him in the mystery of each moment. This key element of surprise in the Be Loved event is a small reflection of the unknown journey of our everyday walk with Him. The weekend’s teaching is focused on one full book of the Bible. The content is appropriate for women ages 16 to 116, who are new to Christ or have been walking with God for decades. The Be Loved study is a scriptural look at Christ’s pursuit of His bride through the lens of one who does not know Him, one who recently knows Him as Savior, and one who is a mature lover of Jesus. This weekend is for everyone. This weekend is for you! Our goal is to develop opportunities for churches to host a Be Loved weekend in each geographical region one time per year. We are excited to partner with churches that wish to extend their invitation to other area churches and their surrounding communities. We enjoy serving a minimum of 75 ladies and a maximum of 400. 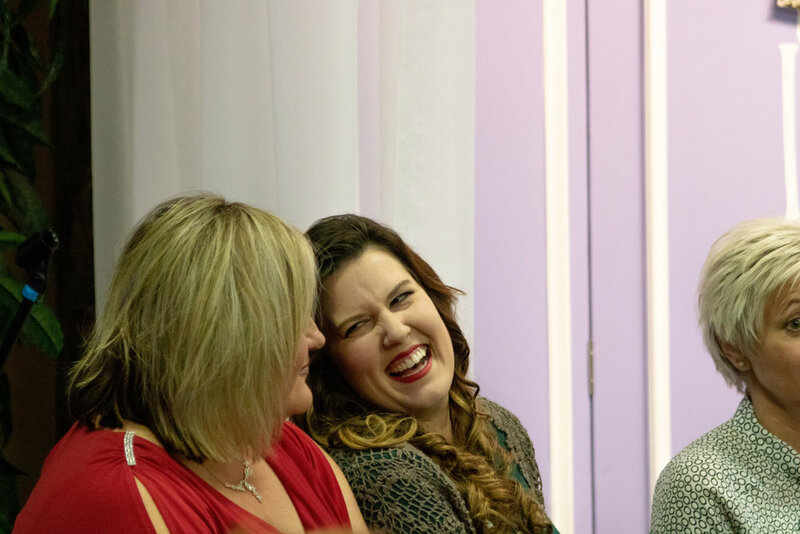 This allows us to keep costs affordable while keeping the setting both comfortable and personal for the women attending. 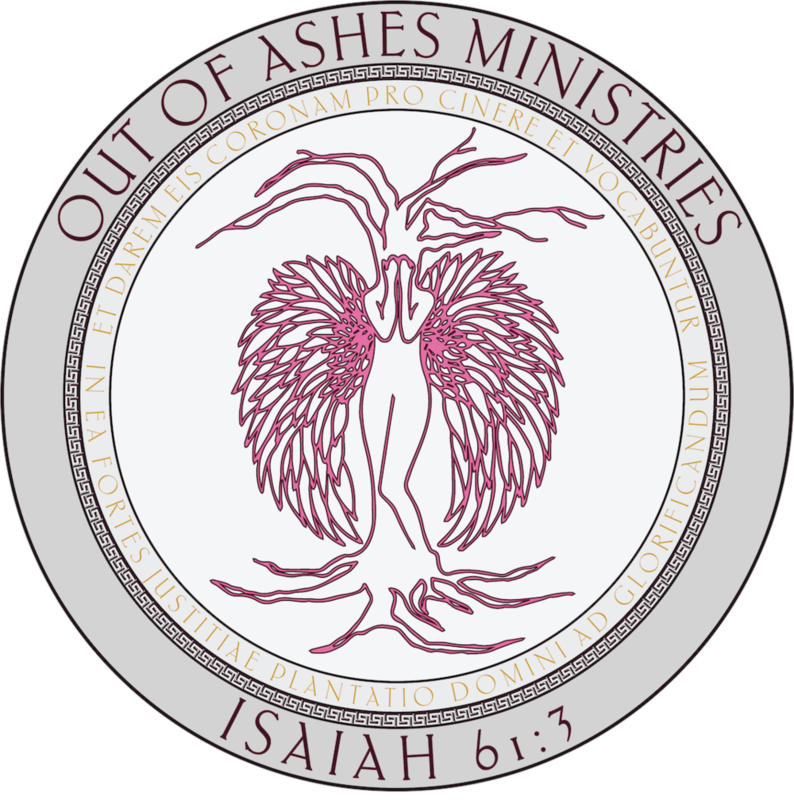 Out of Ashes Ministries also works to offer the Be Loved event independently, without a host church, in some areas. 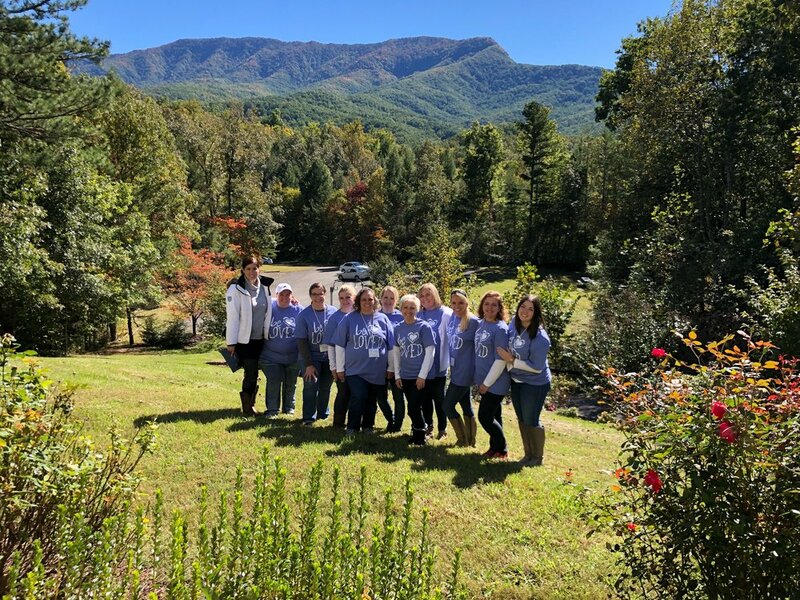 Be Loved is held at an overnight retreat or conference center that has sleeping accommodations and meeting facilities. The overnight format is required in order for the ladies to be fully involved in the weekend schedule. Out of Ashes Ministries works closely with our own worship leader and team to create a weekend with an ongoing posture of worship. The Be Loved volunteer crew also oversees a prayer team, decorating team, food team, registration team, and drama team. There are even some special deliveries that take place during the weekend. Every woman attending will receive not only something to commemorate this special weekend, but also a true treasure that will hold significant meaning for her the rest of her years. “Be Loved was the most incredible experience I’ve ever encountered. It brought me to a place of unconditional love and acceptance that I’ve never experienced before. To be able to have a face to face encounter with my Lord and connect and share with other women was a wonderful experience. My past hurt, and not feeling loved by family had me in a place of not wanting to be near or hear anything about love, or love from the Father. So, I honestly did not want to go, I said I didn’t have time, didn't want to hear it, blah, blah, every excuse I could think of not to go. I did make the decision to attend, and took the time to go. I was like - okay this will just be a girls’ weekend, right? NO! It was the BEST weekend of my life! The absolute BEST experience of God's unconditional love for me ever! I learned that I am not alone, and I am loved in a way that I never imagined. I learned who I am, and who I belong too! Being more confident knowing how much I am loved and adored allows me to be free and willing to share this with other women. This was a great experience to be able to be in the presence of my Lord. This is an experience that EVERY WOMAN should have, and I recommend if you have not had the opportunity to attend Be Loved, you should take the time to do this for yourself, you will not regret it. “Be Loved. Something that seems so simple, in fact, is one of the toughest things to do… Be Loved. For me, it’s a lot easier to love others than it is to love myself or even let myself be loved. But this weekend broke down some barriers between me and God. I relinquished disappointments, fear, shame, loneliness, hurt, and brokenness, and in exchange He poured out divine connections, love, transformations, boldness and refreshment. This event fell on a weekend right before the anniversary of losing my mother. And I knew I needed something to look forward to, to keep me from falling in a snare of dread. It’s no coincidence that I found out about this retreat, because with God there are no coincidences. So despite fear trying to convince me otherwise, I mustered up some courage and decided to go. Bless the Lord, because I’m so glad it did. How can I express what God has done without giving away the secrets of Be Loved? Secrets that should be experienced first hand, because hearing about it cannot do it justice. From great friendships, great teaching, and great music, there is so much I would love to share. To be able to connect with amazing woman was a huge thing. To be in a safe setting where we all let down our defenses was so powerful and encouraging. It’s where life change took place. I met people that I felt like I knew my entire life, yet I would have never met them if I had let fear talk me out of coming. I will share one moment where I felt the love of God crash into me; it was while were having a special lunch. I feel so loved when someone is cooking for me. As I’m eating this delicious meal, I look around at all the people and several ladies around me had their daughters with them. I begin to cry, full of longing and jealousy, because at that moment, sitting at this beautiful table the Lord prepared for me, I wished my mother was sitting beside me… But she wasn’t. I wanted so badly to share this experience with her and I couldn’t. I felt so lonely in that moment, surrounded, but lonely. Everything in me cried out for that loss. I started to spiral with all the “Whys.” As I began to breakdown with grief, God softly whispered, “What a way to honor her!” I was confused so I asked Him what He meant. I felt the reply of my king as it flooded my heart with His love and dissolved every ounce of fear, grief and sadness.